Strike a chord with K–12 students in our music education programs. Music is a precious subject to Dean Howey ’16 and when choosing the right school to pursue his passion, Lebanon Valley College was the only real choice. Our bachelor's degree in music education produces skilled musicians and highly effective teachers. You'll learn how to integrate contemporary practices, use new technology, and bring tried and true teaching methods into your K–12 music classroom. At the same time, you'll meet state standards for PA teacher certification. Embrace your inner performer as you train to become an outstanding educator. Our majors study the principles of music to perform every semester, even as they learn the most effective ways to teach these principles to their own students. You'll join a major ensemble and prepare for solo recitals through private, one-on-one lessons. Your musical education will ready you to interact with future students as you build foundational coursework in music theory, conducting, and instrument techniques. With the help of an advisor, you'll gain vital classroom experience in partner districts, like Annville and Manheim Township, before you begin student teaching in your senior year. • Prepare your audition to join the Music Department and apply to earn your bachelor's degree in music education. • Master your degree requirements, from music theory to advanced conducting. • Pursue related degrees in Music or the Modern Band Certificate. • Tackle your Pennsylvania teaching certification requirements with the help of a dedicated faculty advisor. With course offerings that address modern band pedagogy, world music, and audio production, you'll be ahead of the curve when it comes to the classroom methods that matter most. You'll be well prepared to tackle your PA teacher certification and meet state standards. Through special faculty projects, you'll also have opportunities to teach music on Makey kits and incorporate GarageBand into K-12 lesson plans. Or learn how to design a future STEAM (science, technology, engineering, arts, and math) project that hits all the right notes. 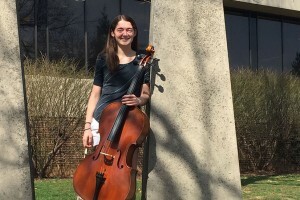 What Makes Studying Music Education at LVC Special? • Learn how to teach from our award-winning faculty, who specialize in areas like band direction, music technology, and classroom pedagogy. • Tackle new field experiences to support your degree, like these Makey workshops with middle school students. • Join our student chapter of the National Association for Music Education for professional development and career workshops. • Help organize Songfest and Bandfest, yearly festivals dedicated to making ensemble music with local students. 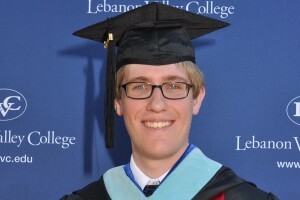 LVC's Music Education Department has a reputation for excellence. We have long-standing relationships with partner school districts throughout the region, and we know how to prepare our students for success in 21st-century music classrooms. By the time you graduate, you'll be ready to teach in public or private school districts, direct a choral ensemble, or conduct elementary, middle, and high school band. 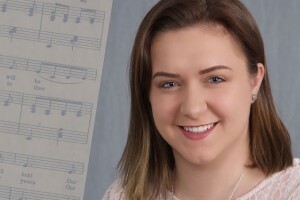 Recent music education graduates work as music teachers, band directors, and choral directors throughout Pennsylvania, the Mid-Atlantic, and as far afield as Stockholm, Sweden. Our students have also pursued graduate study in performance, music education, conducting, and composition at institutions like the University of Florida, University of North Carolina at Greensboro, Kent State University, Binghamton University, and Bowling Green State University, among others. LVC offers a top-notch music education. Listen to what your professors say but also remember you aren’t a cookie-cutter-cutout: use what you are taught and adapt it to your style.